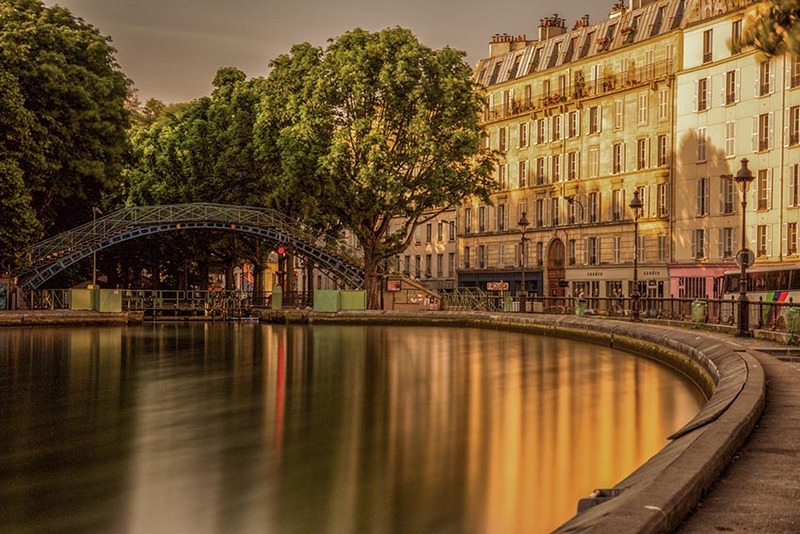 Canal Saint Martin - over our many trips to Paris it seems the Canal St Martin has changed from being a rather quiet area to now very popular. Just walking around Paris is a visual treat. 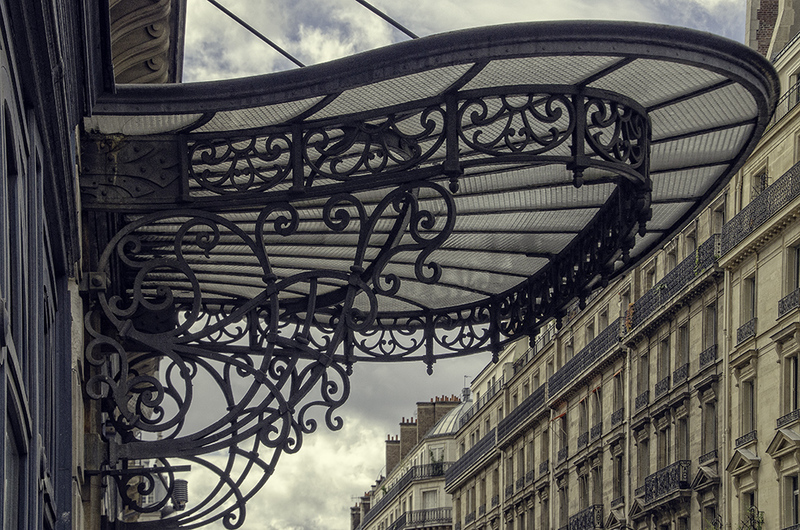 I like a beautiful iron and glass canopy. After the Eiffel Tower, this is probably one of the most iconic moonuments in Paris. It is located at the western end of the Champs-Elysees. It sits at the junction of twelve streets that radiate from the place. The monument honours those who fought and died from France in the French Revolution and Napoleonic Wars. Lots of security as beneath it lies the tomb of the unknown soldier from World War I. Well work buying your ticket on the lower level and go to the top. 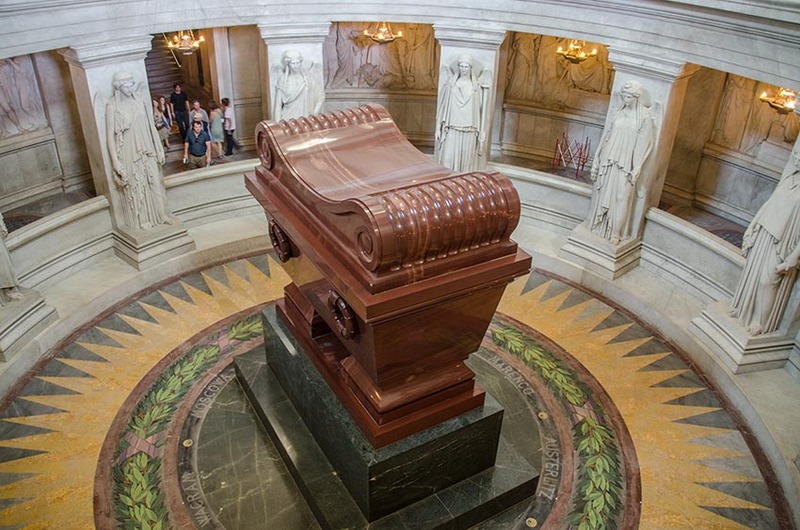 Les Invalides, holds the tomb of Napoleon Bonaparte. He was originally interred on Saint Helena, but King Louis Philippe arranged for his remains brought to France in 1840. Les Invalides holds a very interesting military museum as well as the tomb. 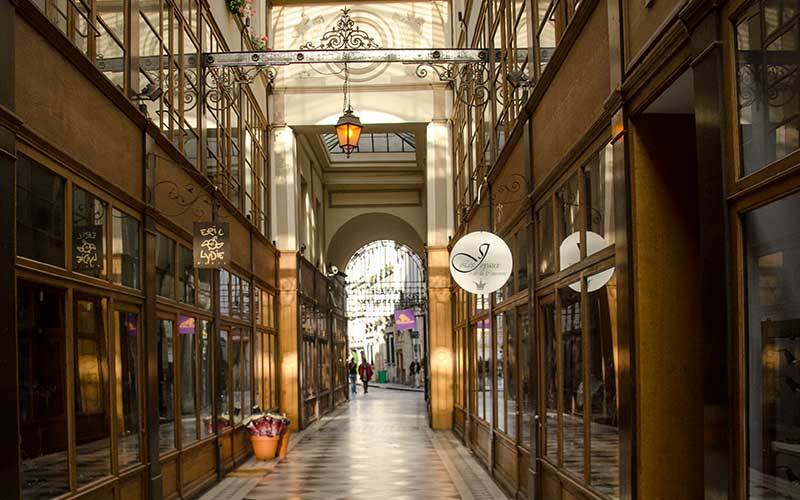 Passage du Grand Cerf is one of the passages that remain in Paris. The shopping arcade was very popular in the first half of of the 19th century. By the 1850s there was over 150 of these covered passages but now, only a dozen or so remain. 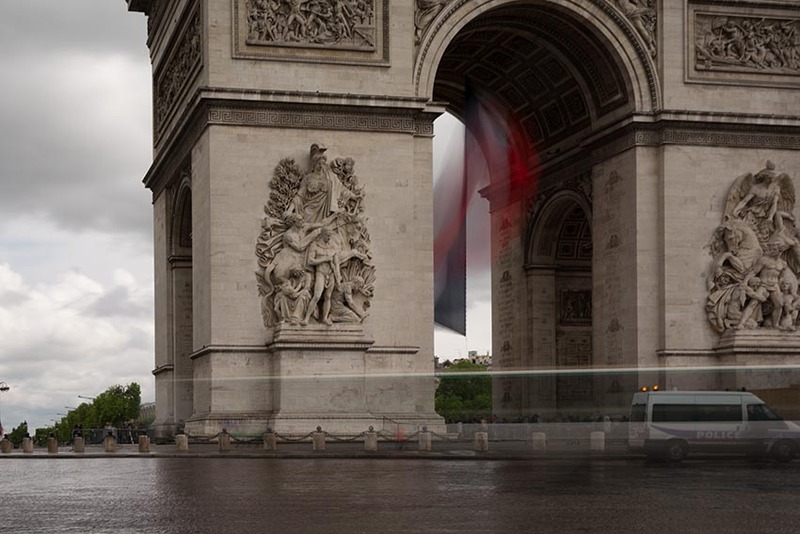 No matter where you are in Paris, and turn, and from one angle this iconic structure will be visible. Starting in 2018 considerable security structures, in the form of a glass wall, is being installed because of fears of terrorists attacks. The Cour d'Honneur, is the inner courtyard of the Palais-Royal. 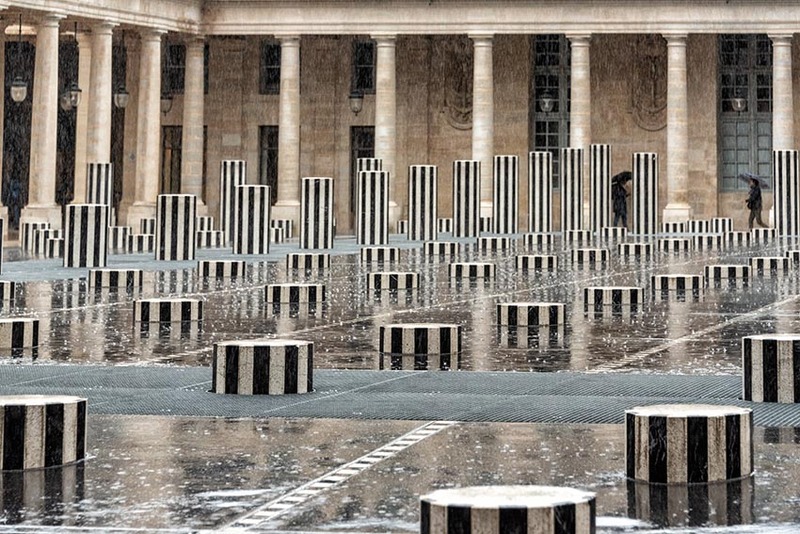 The courtyard has a major art installation by Daniel Buren, called Les Deux Plateaux. 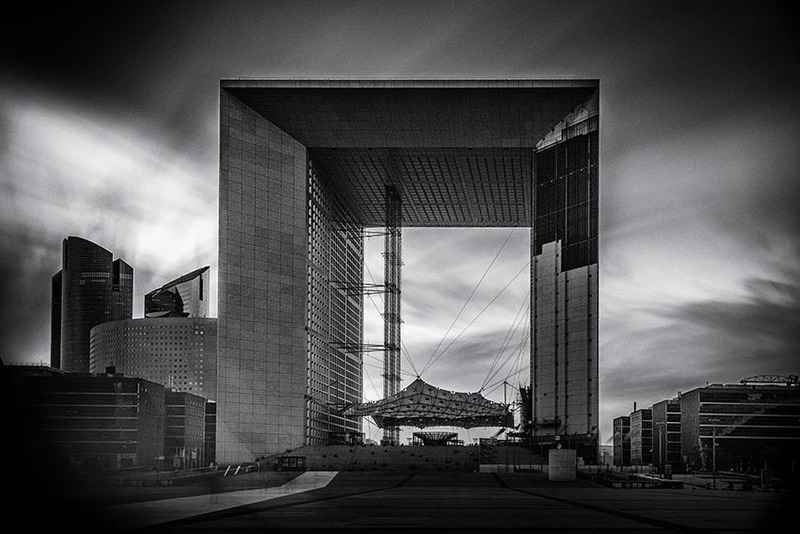 La Defense is a large business district just outside the border of the City of Paris. Take the Metro, Line 1 and enjoy the stunning architecture. The complex includes hotels, restaurants and a shopping centre. In 2017 the roof the Grand Arch opened again for viewing. Take one of the elevators to the roof for a great view of Paris. 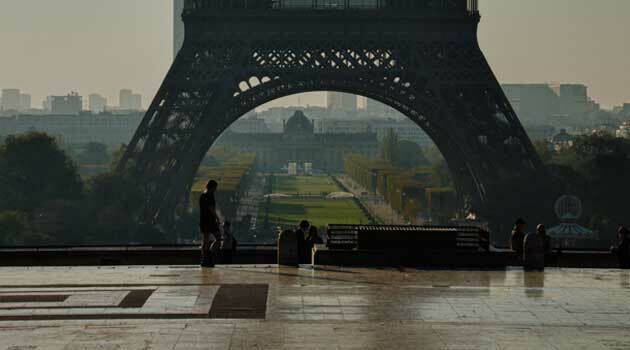 We have been to Paris on a number of our visits to France, typically the location as we fly into and out of France. Each time staying a number of days in the city. On our 2011 visit we stayed a full five days in Paris. Now we talk about going back for another five days or so and to be able to spend time just walking about, and enjoying the city. 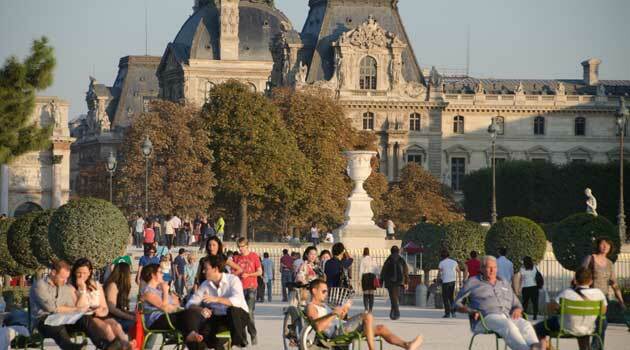 It is difficult to try to summarize sights to see in a city like Paris as there is so much. Paris is made up of arrondissements, twenty of these administrative districts. Beginning at the centre of the city, they curl round in a clockwise direction like a snail shell.. When looking for a location, I did not realize until many a visit that address numbers start at the end of the street that is nearest to the river - that is the centre of the city and then work out. Even numbers on one side of the street, odd on the other. As you exit any of the metro stops you will typically find a map of the arrondissement. Take a moment to check the map and get your bearings. The metro is one of the best means of getting around the city, although check out a map. Often to go a short distance you uwill actually be better to walk. Every metro stop involves stairs down, connecting hallways and then stairs back up. The stations are sometimes not actually where the steps are! The interchange at Chatlet and Les Halles, for example is so long there is a moving sidewalk to help you with the distance between the two metro stop interchanges. The buses are another option, and on some trips we have taken them. The advantage is that you can see the city while you are travelling. If you are not confident as to where the bus goes, or its route, sometimes it takes a turn... but then again, that is is all part of the enjoyment of exploring the city. he metro signs and a fair amount of the "modern" architecture is art deco - love it - again check out the classic Metro Signs like that at the Chatelet Station that is pictured to the left. When one says Paris, there are a handful of places that immediately come to mind as ones that will most likely be visited. There are two ways to approach the Notre-Dame. I enjoy walking along the left bank and viewing the church from across the river. 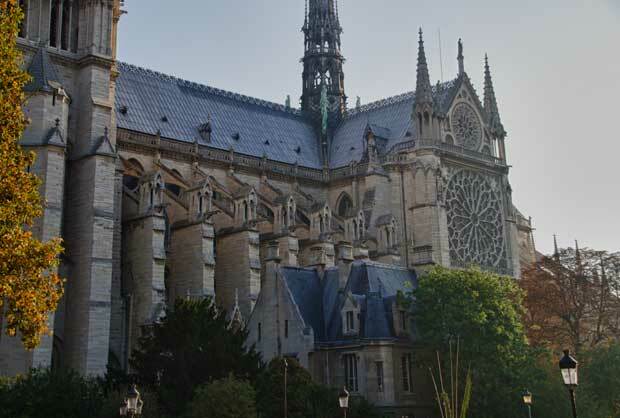 You get to see the structure but you are not overwhelmed by the crowds in front of the cathedrale. Also, walking from the rear, along the right bank allows you to see the impressive bank end of the church from across the river, as the river bends giving a great view. Built in the 12th and 14th Century is the one of the most noted cathedrals in Europe and the catherdral of reference in France. French roads have distances from Paris that are measured from the 0 km point that is marked by a square in front of the entrance to the cathedral. Climb the towers to go to the roof and see the gargoyles up close. Take some time to walk around the back side of the cathedral to see the flying arches that make the building of the structure possible. Of course, walk through the cathedral which is very dark. On a sunny day, especially in the morning when the sun is coming up there will be light through the stained-glass windows.. 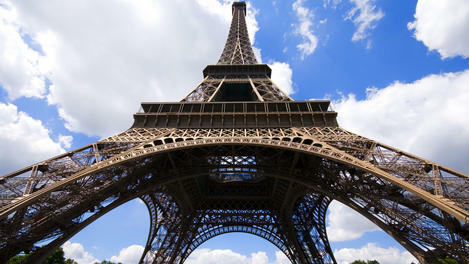 This is a very important structure to France. In fact, French roads have distances that are measured from the 0 km that is marked by a square in front of the entrance to the cathedral. 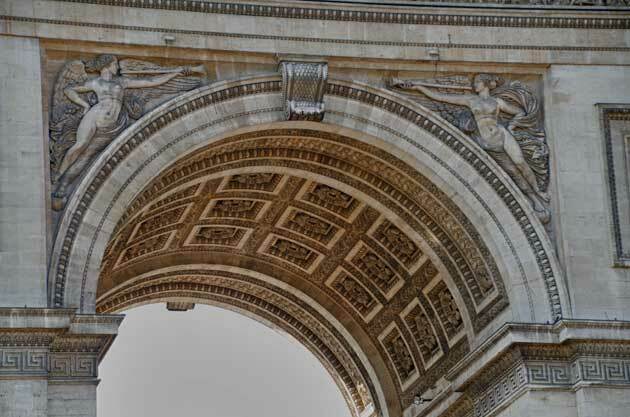 I don't know why it took a number of visits to Paris before I toured the inside of the Arc de Triomphe. Well worth it. From the top you look out and see the twelves roads that radiate from the traffic circle. Most of the roads are named after one of Napoleon's battles. Naploeon has it build in 1806 and it was completed some 30 years later. The structure is covered with reliefs and sculptures that depict scenes of Napoleon's battles. 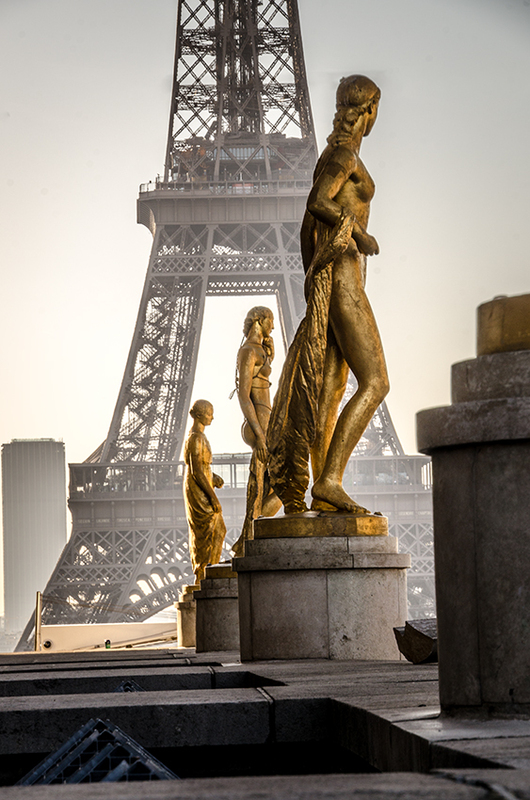 The Paris landmark. Standing 324 metres and weighing 10,000 tons it was built for the 1889 World Fair. It took two years to complete. You can walk the stairs, we have always taken the lift. Go up to the top platform for great views. Many want to see the paintings and sculptures. Two glass-roofed sculpture courts contain the famous Marly horses on the ground floor of Richelieu. The Italian Renaissance pieces are in the Denon wing. The Grand Galerie and Salle de la Joconde have the Mona Lisa. Great ready for an unbelievable crowd of people. After a few days of galleries and museums the only gallery I want to talk about is the stunning department store Galleries Lafayette. 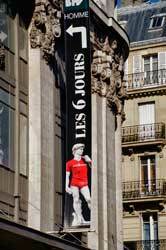 Located on Boulevard Haussmann and just up from the Opera House. There are actual three separate buildings and mens wear is in a building all its own. Walk into the centre of the grand store for one of the most impressive art-deco spaces in Paris. The food floor is great, pick up some fantastic food and then head out for picnic. 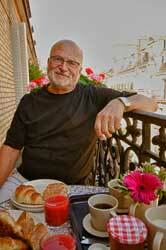 The restaurant at the top of the store offers very good food at reasonable prices. French wine, steak and fries. Nothing gets more French than that for lunch! Sometimes the only galleries I have energy for are the retail ones! 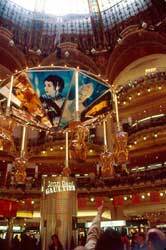 There are four grand retail stores in Paris: Galeries Lafayette, Printemps, Bon Marché and BHV. The Bazaar Hotel de Ville (BHV) is located near the Hotel de Ville at 52, rue de Rivoli. The department store as been in operation since 1852. It is perhaps a bit less up-scale than some of the others, but you will find all the lines you want. We always visit this store - not only for the men's wear - which is in a second building, but because of the impressive stationary/art supply and pen department. I can get any type of note book or journal I want, and their selection of pens is quite good. The Tuileries Palace Gardens are located where a royal palace, destroyed in 1871, once stood in Paris. Catherine de'Medici planned the original palace. Louis XIV stayed in the palace while Versailles was under construction; and Louis XV lived there for a few months. Louis XVI, forced to leave Versailles during to the French Revolution stayed at the Tuileries, under surveillance. It also became the residence of the First Counsel under Napoleon. In 1871, under the suppression of the Paris Commune, 12 men were ordered to set fire to the Tuileries. The ruins stood for eleven years and in 1883 the demolition of the structure commenced. As late as 2006 there were cost projections to rebuild the palace. Now, with the economic state of many European countries at risk, most likely it will stay a pleasant park area that is frequented by those of Paris and tourists. The gardens close at night, so don't leave your visit too late in the day. We were there a little after 6 and at 7 the gates were being shut and people asked to leave. There are longer hours in the April to September time frame. There are the classic green metal chairs in an upright a lean back style. 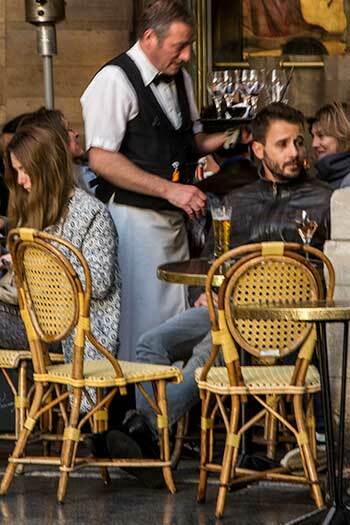 Pull a chair up to the main fountain and just enjoy being in Paris.